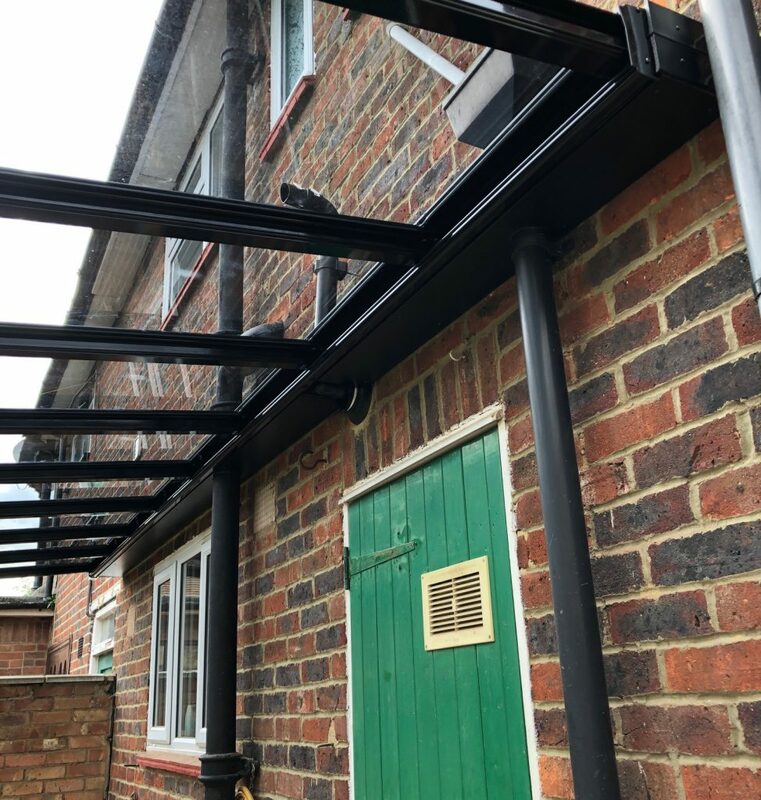 Downpipes and other slight obstructions on the outside of buildings are often a major concern for people who are looking to get glass rooms, awnings, or verandas. This can be a particular issue on certain properties, such as older houses or commercial properties. 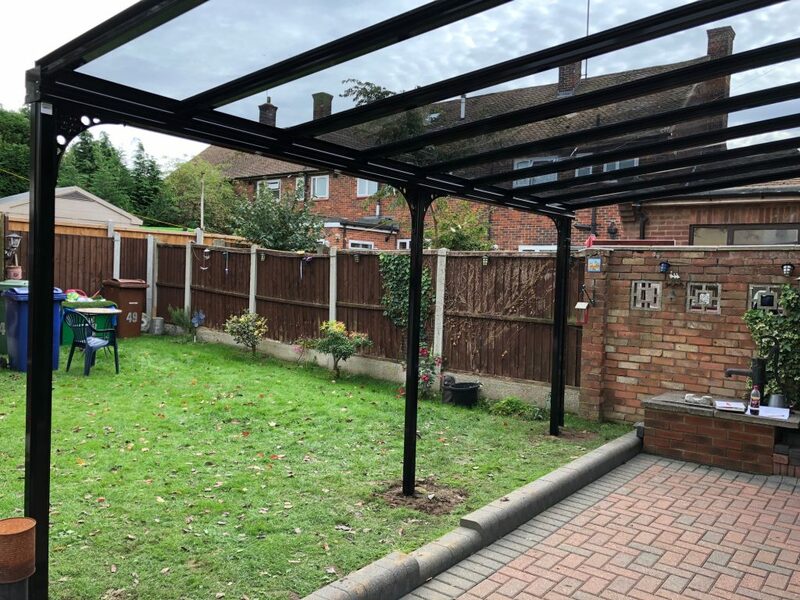 For this project, the family were looking for a veranda for their house. On this particular building, there were three different pipes roughly 150mm out from the wall which were in the way, and that would normally present an issue when constructing a veranda. Our team got around this by using a packer system, which allows us to get around the pipes. 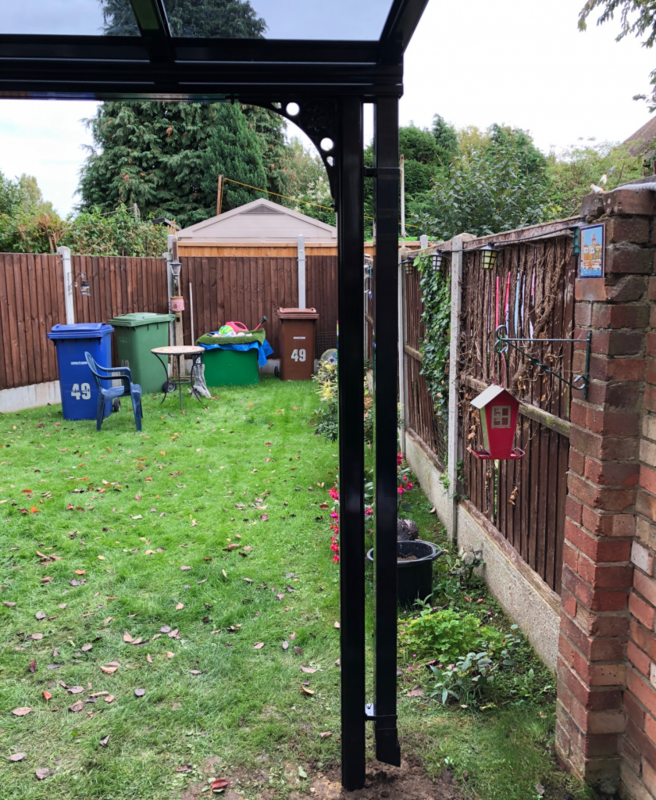 As you can see below, it in effect extends the area we can join the veranda to the wall outwards and is the perfect solution for properties such as this. 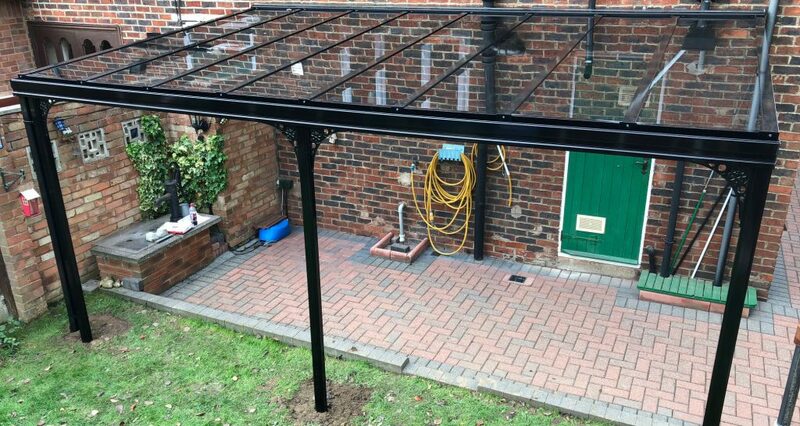 The family chose a black Samson G6, our most popular veranda, due to its impressive looks and great build. They added what is called the “Victorian” upgrade, which adds flourishes and details that create a slightly more classic aesthetic, and can work brilliantly with houses and properties of certain styles, particularly slightly older properties when it enables the system to blend in a little easier and look less out of place. The G6’s supporting posts go straight into the soil here, with nothing to concrete into. The drainage system also exits here, straight to the ground which will absorb the liquid and avoid the issue of standing water.